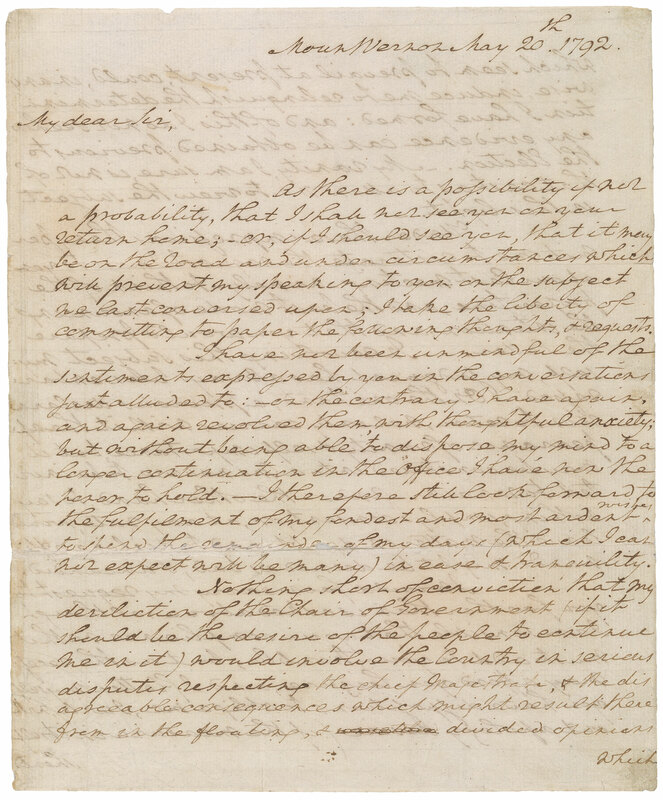 Autograph letter signed : Mount Vernon, to James Madison, 1792 May 20. Acquired by Pierpont Morgan, before 1913. Disbound from a green leather gilt binding by Bradstreet's, lettered "Concerning Washington's Farewell Address;" binding housed in box with letter. Requesting that he write a Farewell Address for him; asking what might be "the proper time and the best mode of announcing the intention;" suggesting certain sentiments he would like included. Acquired by Pierpont Morgan before 1913.